Santa Claus arrives at Walden Galleria on Saturday, November 10th at 10:00am! Children, families, and pets are invited by the jolly and joyous gift-giver to chat of their Christmas wishes and make memories to last a lifetime. With decked out evergreen trees, a cozy fireplace, and presents scattered around, it’s the perfect set up for a holiday card! 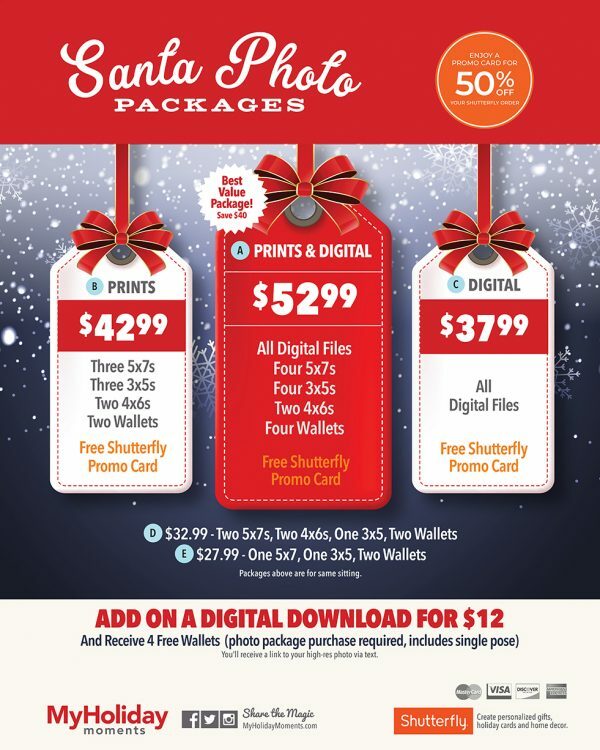 Photo packages will be available starting Saturday, November 10th – Monday, December 24th, on the lower level between Apple and Clarks. Packages start at $27.99. Pet Photo Nights – Mondays & Tuesdays: 6pm – 8pm from November 12th until December 11th. 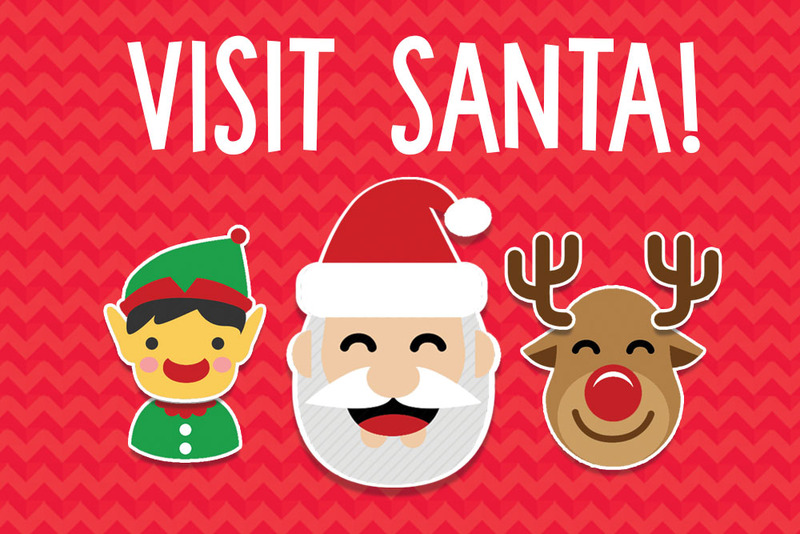 Families with Special Needs that wish to come during our sensory-friendly events are welcome to visit Santa on Sunday, December 2nd and Sunday, December 9th! Smiles, Sunday-Best, and your Christmas wish-list! He knows if you’ve been good or not! All you need to make the most of your visit is yourself and a little holiday magic! Our North Pole living room can be found on the lower level outside Apple and Clarks. The easiest parking access is through the 5-Level parking ramp outside Forever 21 or parking by DSW entrance. 5-Level Parking Ramp: Enter through the main mall entrance and take a left at the elevator. The set will be straight ahead. DSW main mall entrance: Take the escalator down and the set will be to your right. Elevator is located outside of Regal Cinemas if needed. Santa needs to take breaks every once in a while to feed the reindeer and keep them happy. Signs will be posted when Santa goes to feed the reindeer with the appropriate return time. Reindeer usually get fed between 3:30 and 4:30pm.